Regardless of the size of your yard or how ornate your landscape is, San Luis Obispo Landscape Maintenance is time consuming and costly. Sit back, relax, spend more time with your family or enjoy that hobby more while the hardworking crew at Dan’s Landscaping Company keeps your yard looking beautiful all year long! We tackle the difficult projects like protecting your yard from plant predators or deadening diseases. 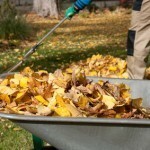 We clean up your yard and remove unwanted weeds and foliage. We keep careful records in order to get to know your lawn’s every need. Our routine San Luis Obispo Landscape Maintenance programs keep each visit to your landscape brief and efficient which saves you time and money in the long run. We also make recommendations on florals and plant varieties that optimize your lawns appeal. Mulch installation from our San Luis Obispo landscapers includes delivery of mulch to your home or business and full installation with total cleanup afterwards. Our certified installation crew installs mulch around trees, in flower beds and specific areas that you wish for your mulch to be placed. 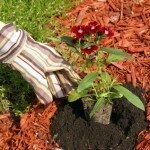 We offer several mulch varieties to suite you needs. You’ll love our fast dependable service and our broad selection of rich mulch that will beautify your yard. It is vital to choose a professional lawn & planter spray company that provides effective solutions to your unwanted lawn and bed growth in order to preserve the health and longevity of the attractive landscaping on your residential or commercial property. 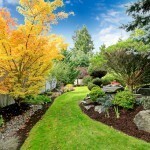 Dan’s Landscaping Company is pleased to offer comprehensive weed control services for your lawns and landscape gardens. We remove weeds and other unwanted plants while providing healthy nutrients for your existing grass, flowers and plants ensuring their vitality all year long. When it’s time to finally tackle that yard cleanup project you’ve been putting off, contact the professional crew at Dan’s Landscaping Company. Our fast efficient service will have your yard looking sharp in no time. We provide superior products and services for home and business owners throughout Central Coast. Dan’s Landscaping Company year round comprehensive yard clean up includes removal of leaves, brush, weeds, and other pesky plants. Other services include pruning dead, infected, and unwanted tree foliage, shrubs, decorative plants, and recurring vegetation along with leaf and brush removal. If you are looking for a professional San Luis Obispo Landscape Maintenance Contractor then contact Dan’s Landscaping Company at 805-550-5488 or complete our online request form.